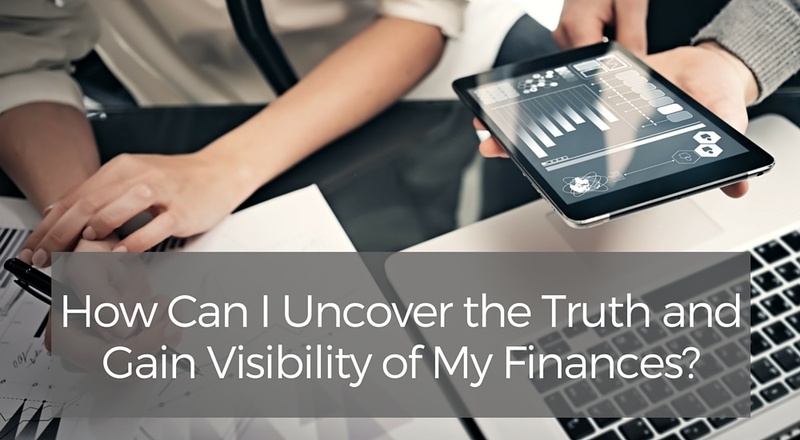 Uncovering the truth, gaining control and visibility over your financial functions, however, is ultimately liberating. If you know what is really going on, then you are in a position of strength – if problems are uncovered then you are able to deal with them, swiftly and tactically. When people get into business, there’s usually very little investment in finance functions. This means that, very often, the financial position they think they’re in may not necessarily reflect the reality. Or, they may have a gut feel that something isn’t right, but there’s a fear of exploring it – because, if the fear is founded, then there’s the responsibility for doing something about it. While a lot of business owners are very good at running their business and being the head of their organisation, they may not necessarily be genius financial strategists. They may not know how to manoeuvre out of a situation. So, what business owners sometimes do is have an interim phase where they run their business based on financial assumptions that were developed when they were managing through gut feel. But, those financial assumptions may not necessarily be accurate. They may not be adequate; they may not actually cover all the bases. At Sequel CFO, we try to find out things through implementing procedures that we use to establish control and visibility. We challenge the key assumptions you might have about your business. That rough outline in your head might not be accurate. When was the last time it changed? When did you last put your prices up? When did you last review your cost accounting assumptions? It’s about looking into the future, about what’s going to come around the corner. It’s impossible to plan ahead if you don’t know where you are right now. Finding out what’s really going on in the business is sometimes a very challenging and daunting experience. You’re looking at the business through a microscope. The truth about your position isn’t always bad. Sometimes you uncover negative things; sometimes you uncover positive things. A way to navigate through negative situations is to have somebody in your corner who can help you solve what to do in a bad situation - because this does happen from time to time. It’s a very serious event, but it doesn’t have to spell the end of everything. Whatever the truth of your situation, if you’ve got the right team, there are strategies that you can develop to navigate your way through it. If you’ve got somebody with the knowledge and experience, then it’s going to help. Now, this is where having a full accounting team really starts to pay. But, this sort of conversation is beyond the bookkeeper level. At Sequel CFO, the financial controller would be the person, led by the CFO, who uncovers all this information. We can then sit down with you and strategise how the plan is going to work to get the company back on track. The solution almost always includes preparing a very thorough financial forecast based on different situations. We need that visibility. Sometimes, business owners don’t know the position of the business because there’s never any planning in terms of financial forecasting. This is often because, when you are smaller and in that sub-one million category, you were managing by gut feel and getting by. You’re now in a territory where you actually need to find out if the margins are right. You need to know that you don’t owe anyone more money than you think you do. You need to find out your tax position. Invariably, you’re going to have a certain vision, goals for the organisation and for the business. We then need to work out how you’re going to implement those goals. When you actually know what the financial position is and have control and visibility, a Virtual CFO can position the business in the best way possible. Face up to it with the right people on board. For more information on how our Outsourced CFO service can help, explore what Sequel CFO can do for your business. Would you like to take the next step and begin the journey towards complete control and visibility over your company's finances? If so, discover how our Diagnostic services can help you.